I have a little thing with buffalo chicken. I scour menus at new restaurants to see if they have any buffalo chicken wrap or sandwich that looks tasty. It’s like hot wings without all the mess. Yum! 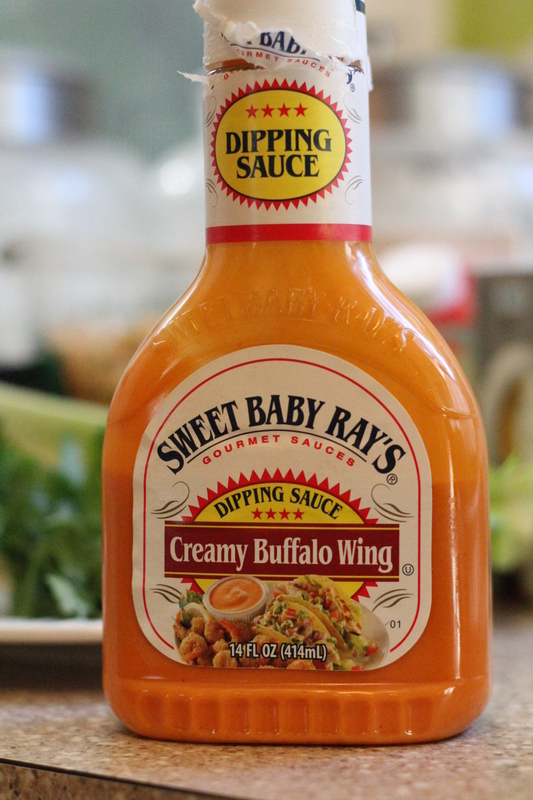 When I saw a bottle of Sweet Baby Rays Buffalo Sauce at the grocery store one day, I knew I needed to grab it up. I didn’t know exactly what I would do with it, but I knew it would be something tasty. 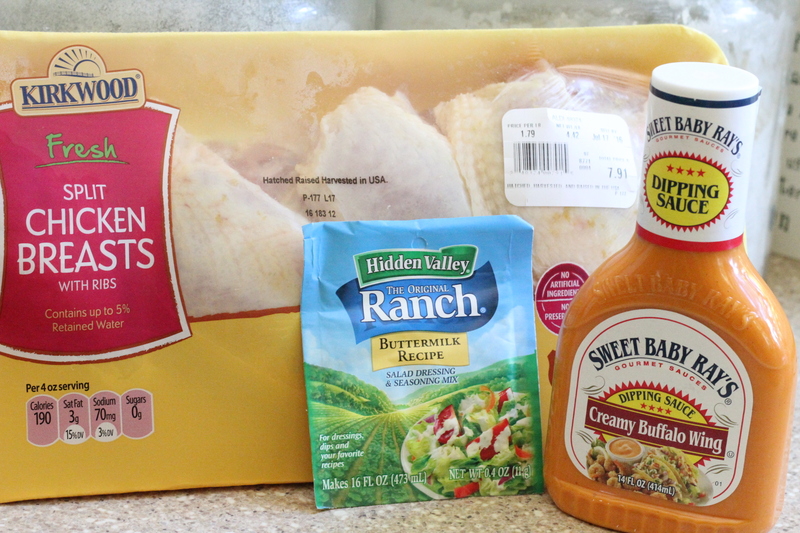 You can easily make your own buffalo sauce, which is usually out of hot sauce and butter, but this bottle of Sweet Baby Rays tastes great and saves me time and I can get a few different meals out of the bottle. Keep reading and I’ll show you how. 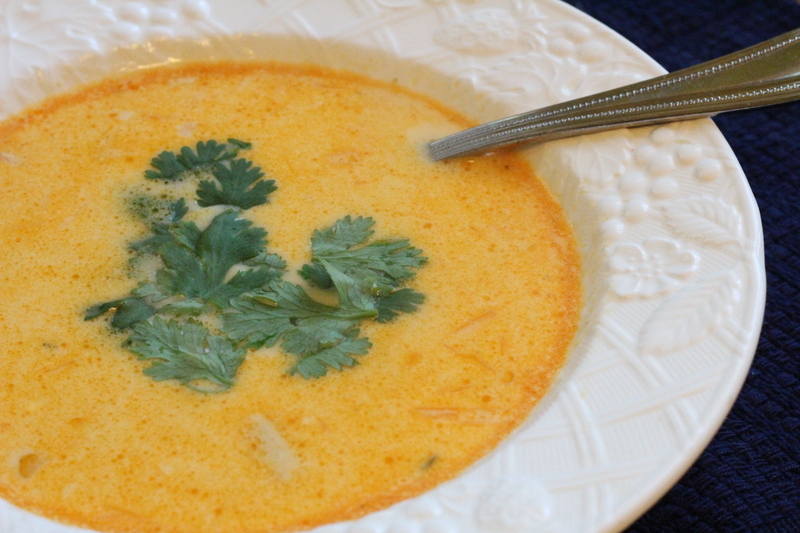 The basic buffalo chicken is wonderful on its own, but it’s also a great base for buffalo chicken soup which I’ll share the recipe for this too. I love it in a big old salad and it’s tasty in tacos too. You can make a bunch in advance and freeze it so it’s ready when you have that craving for something with that buffalo flavor. 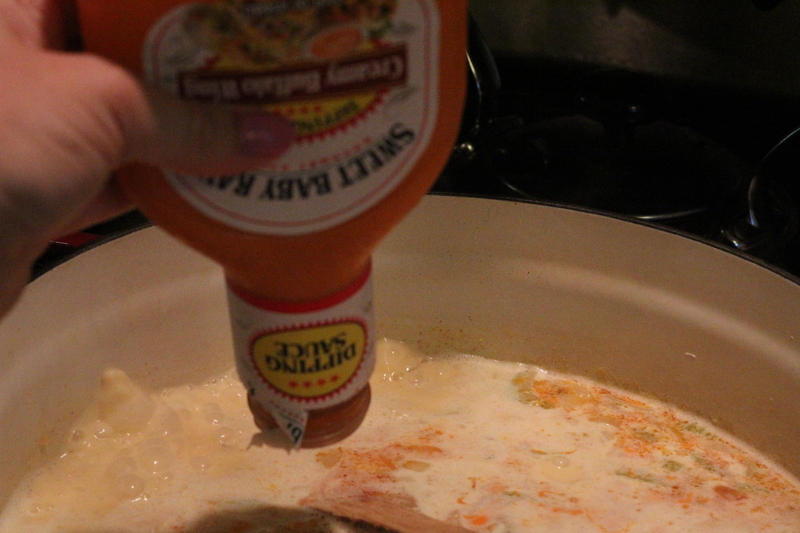 I make my buffalo chicken in the crockpot but you could also do this on the stove top or even in the oven on low. 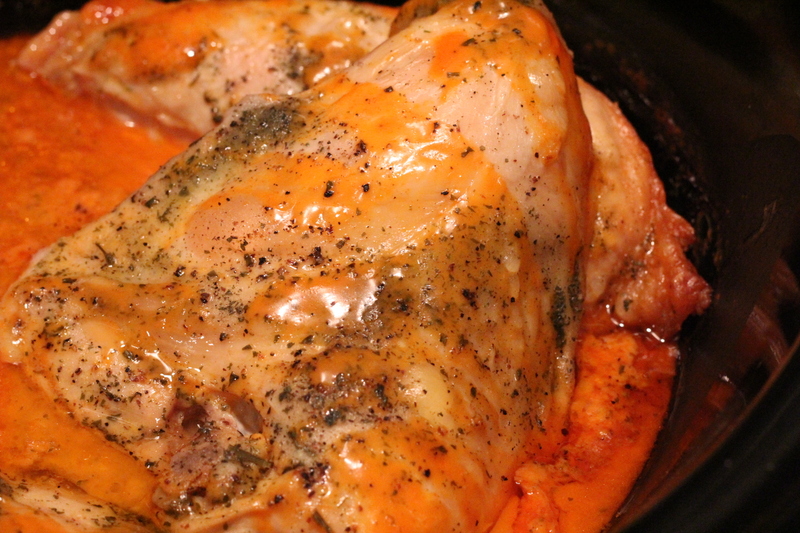 It’s one of those where you throw all the many ingredients – I mean THREE or FOUR (if you include water) ingredients into a crockpot and let it go on low until that chicken is falling apart and all slathered up in that buffalo sauce. I don’t know about you, but I haven’t really been in the mood to fire up the oven in this crazy summer heat so I’m all for crockpot recipes about now. For all you pregnant mommas! I feel for you in this heat. I was a summer prego three times and I think my belly had its own zip code at times. That’s a whole other post topic, but this buffalo chicken would be a great way to spend less time in the kitchen and basically have meals done for the rest of the week. Or, one that your spouse could easily handle so you don’t have to even step foot in the kitchen pre or post baby. It’s getting to be back to school time soon – AKA back to taxi cab and crazy schedules which also makes me a little more appreciative of crockpot recipes so keep this one in mind with the upcoming new school year. 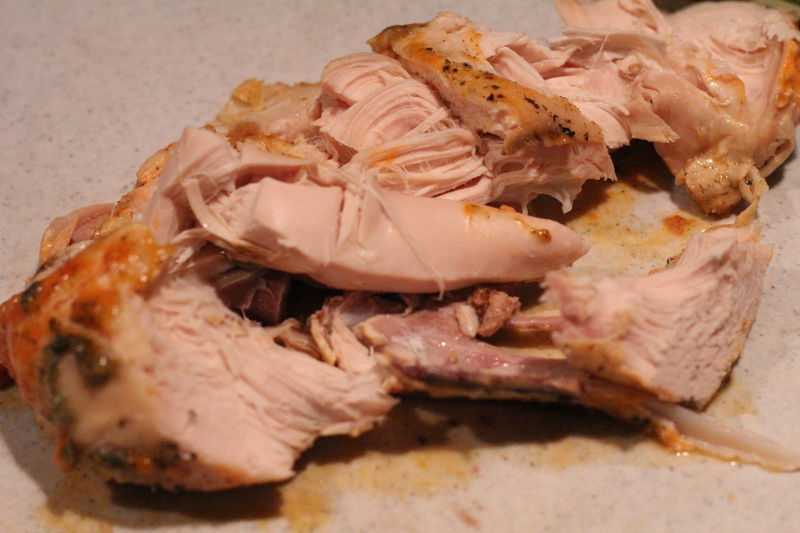 Get yourself some chicken- I think boneless is easiest to deal with, but get whatever you want. I did split chicken breasts this last go around since it was on special so I had a little de boning to do after the chicken was cooked. You could use frozen chicken too, it will just take a little longer to cook. I’d go for 2-2 1/2 pounds of chicken. One packet of ranch dressing mix. This is optional. Actually, I forgot to add it in the first time I made my buffalo chicken and it still tasted great. If anything, I think the ranch cuts down on the little tiny baby buffalo kick that the sauce has. If I’m not using frozen chicken, I will add about 1/4 C of water to the crock pot too, just for good measure to make sure the chicken is extra moist. Frozen chicken usually has some ice coating already so I don’t bother. Basically throw your chicken in the crockpot, sprinkle on the ranch packet and then add in about half the bottle of buffalo sauce on top of the chicken. I sprinkle on some pepper too. Seal that baby up tight with the lid and let it cook on low for 6-8 hours or whenever that chicken is done. It should be tender enough to just fall apart when you take a fork to it. Remove any bones and either serve immediately, return to crock pot on warm, or separate it out into your containers for future meals. Make sure to include that sauce that in the bottom of the crock pot when serving or adding leftovers into your containers. 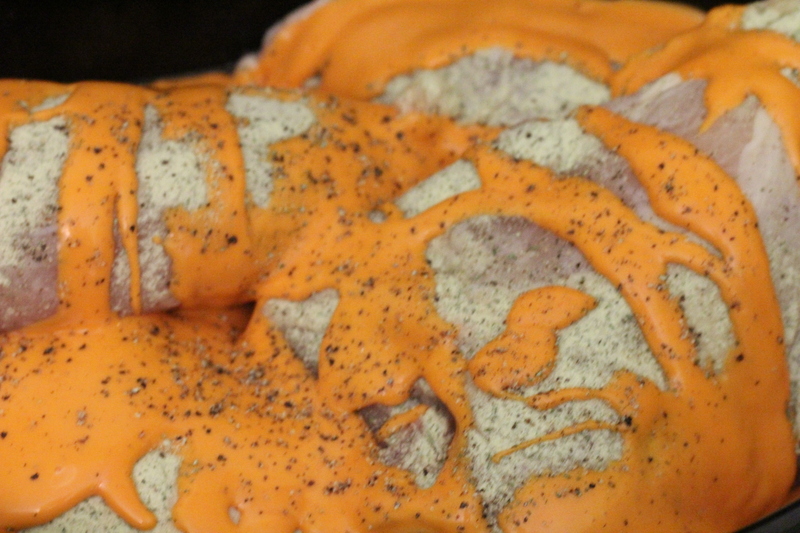 You will want that to be coating the chicken. I have the container on the left more finely chopped. This will be used for my Buffalo Chicken Soup. 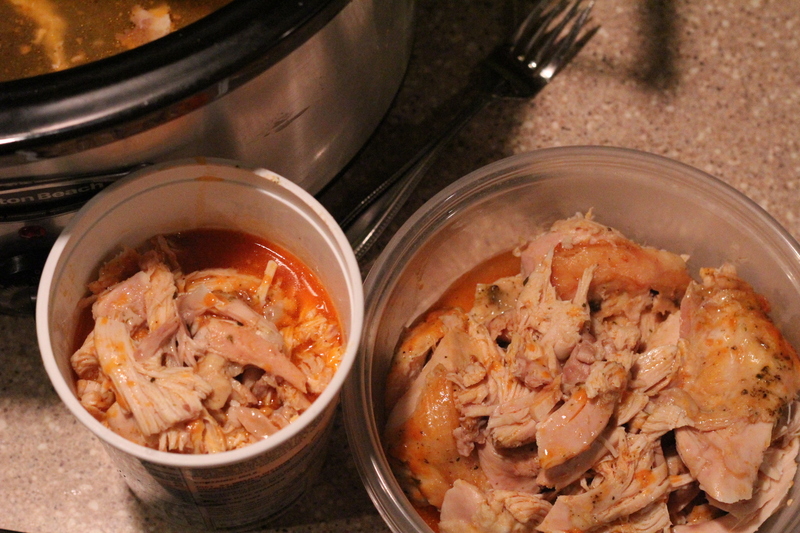 The larger container on the right is bigger pieces of the buffalo chicken that I’ll use for other meals. Both go in the fridge. Go ahead and freeze if you won’t be using it within a few days or if you are a planner and making this in advance. 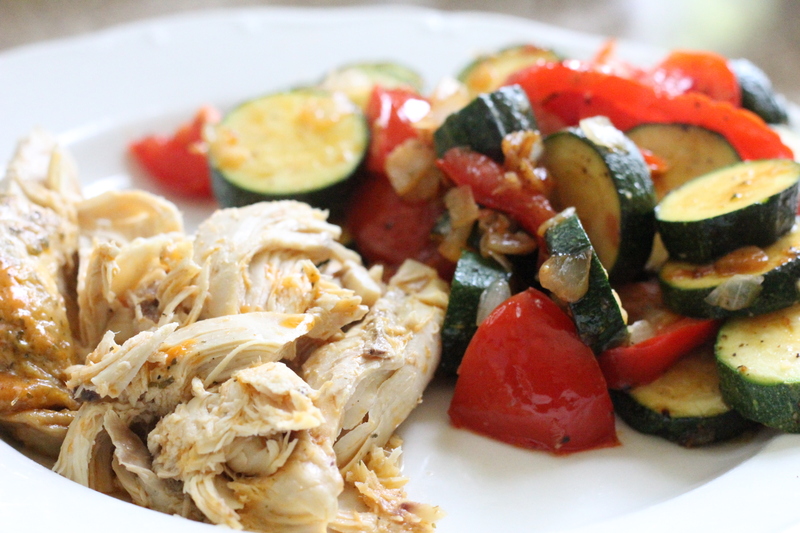 A super easy meal is the Buffalo Chicken and some simple sautéed veggies. Can’t go wrong there. You can pair it up with whatever you like. This one is just one of my favorites. 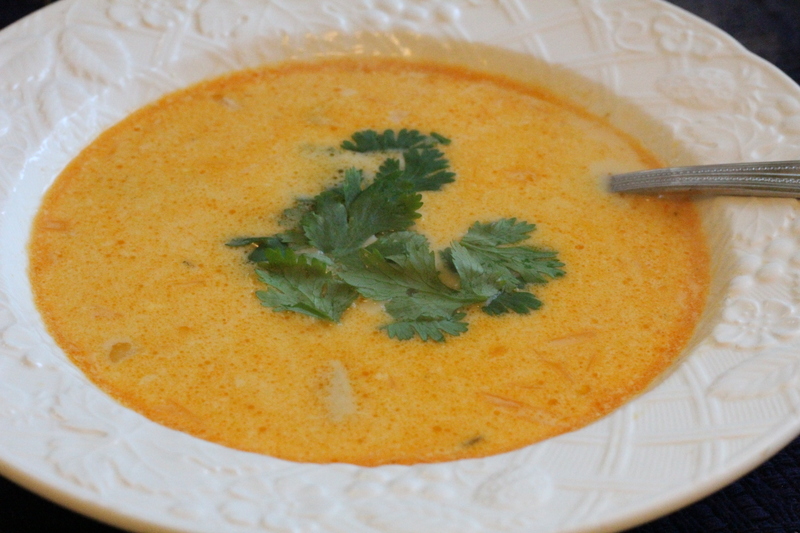 I love soups and this one is really tasty and low carb for all you carb counters. Again, the star is this great little find- the buffalo sauce. You’ll find it with the barbecue and hot wing sauces. Start with an onion diced. Sauté it in a little olive oil. 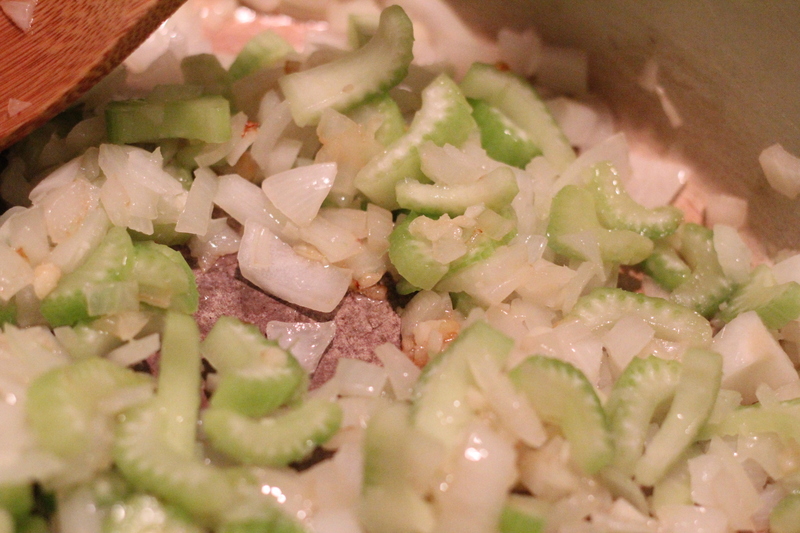 Add in minced garlic and then chopped celery. Now add in a block of cream cheese. Add in some chicken broth and water. 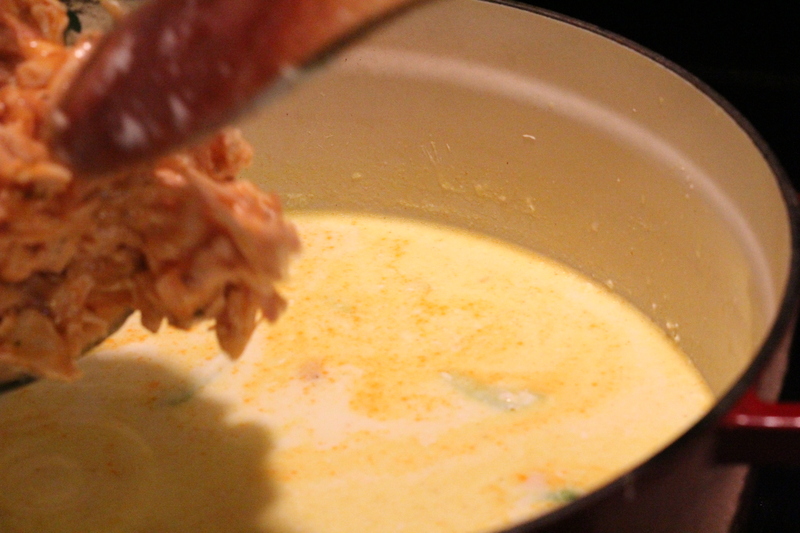 Let this thicken and combine together until that cream cheese is all melted and smooth. Now, it’s time to add in that buffalo chicken that you have made up. Mine was straight out of the fridge. Now add in about half a bottle of buffalo sauce. Sprinkle in some salt and pepper. 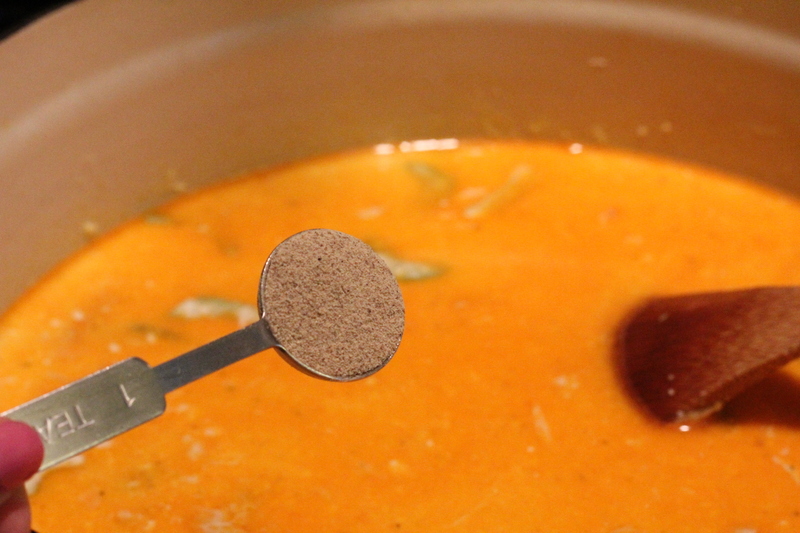 This is one soup where I use white pepper. I love to include it in certain recipes. Let this soup mingle on medium – high heat and bring to a boil. Once at a boil, turn down to a low simmer and cook for another 20 minutes or so. I like to serve with a little fresh cilantro on top. 2-3 C shredded chicken. I recommend using leftover buffalo chicken. Wash, chop and dice your celery, onion and garlic. 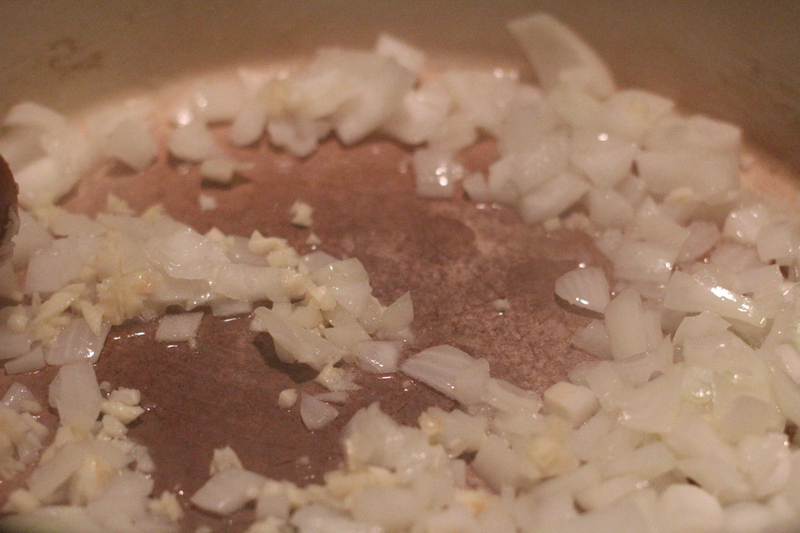 In a large pot (at least 6 quart), heat olive oil and sauté diced onion on medium heat. Add in the minced garlic and chopped celery. 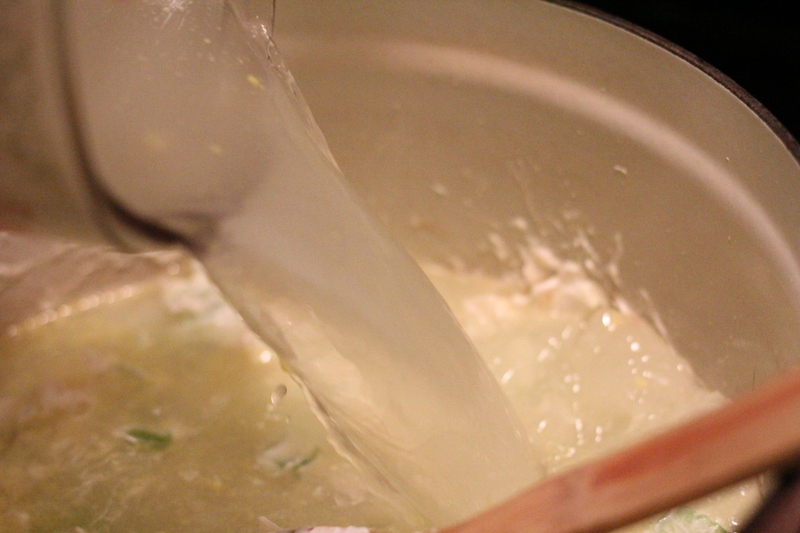 Once the onions are beginning to become translucent, add in the cream cheese. Stir this around on medium heat. 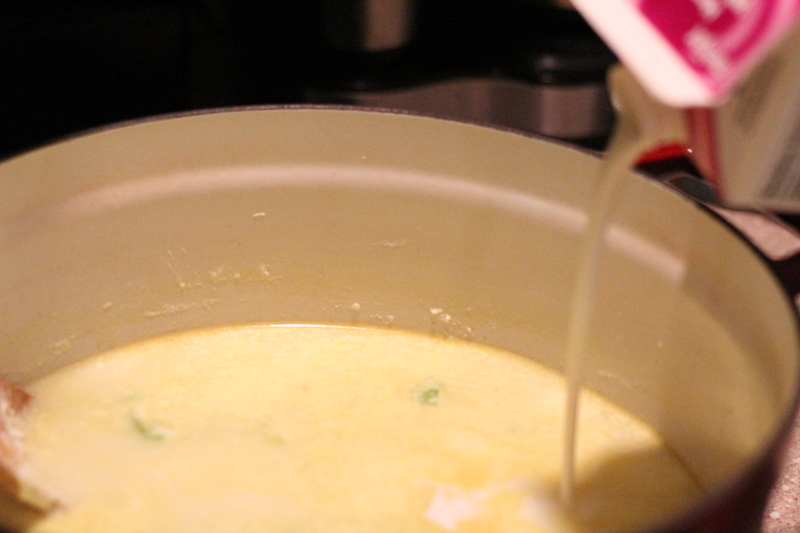 Slowly add in chicken broth, water, and heavy cream. 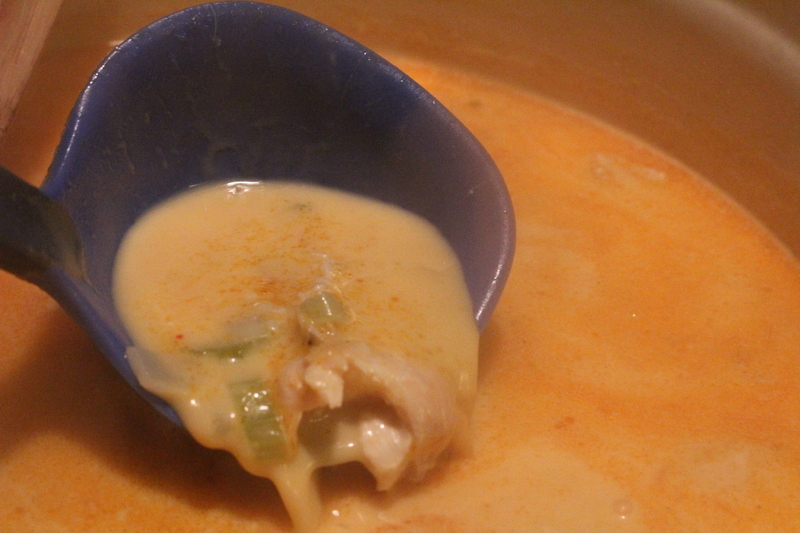 Keep on medium heat, stirring to help melt the cheese and smooth out the soup. Add in the cooked shredded and de boned chicken and buffalo sauce that is with it. Let this heat up to boil and then turn down to low. Simmer on low for 20 minutes until vegetables are tender, chicken is all warmed up and flavors are all combined. Serve with a little fresh cilantro on top. 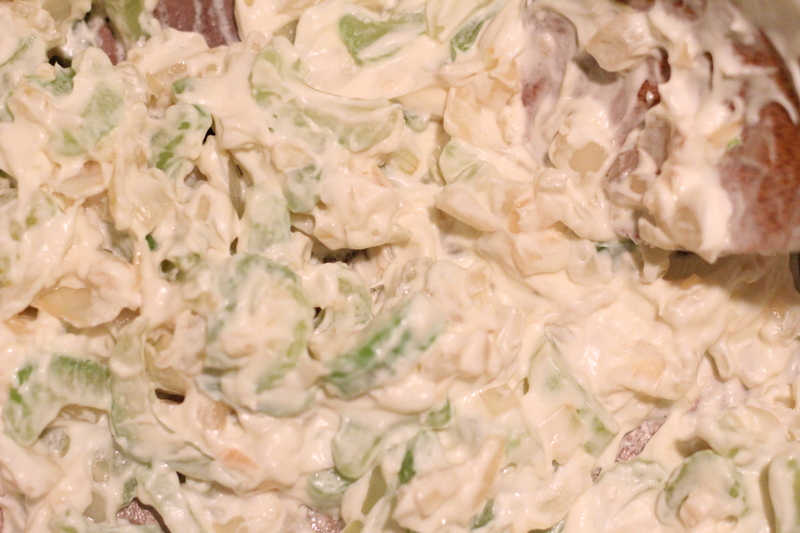 Leftover buffalo chicken makes a pretty awesome Loaded Buffalo Chicken Salad. I’m not going to write up an actual recipe for this- it’s whatever you like. 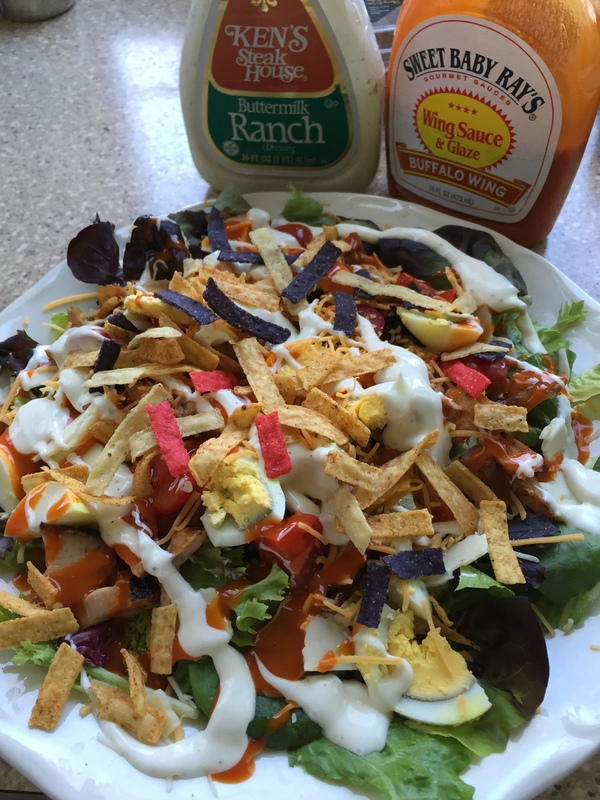 I used a combination of Romaine lettuce and spring greens, topped with the leftover buffalo chicken (cold), added in some hard-boiled egg, tomatoes, cheddar cheese, little tortilla salad topping thingys, some ranch dressing and a little bit more buffalo sauce. Oh my! That was one tasty salad. You could throw that all into a wrap basically. I think it would be better if the chicken was heated up first on this one. Top some nachos with it! 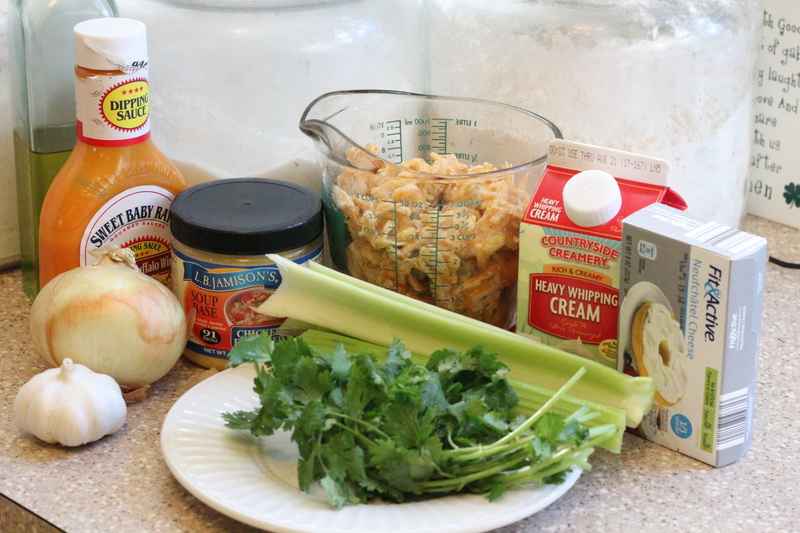 Make a tasty cheesy buffalo dip! 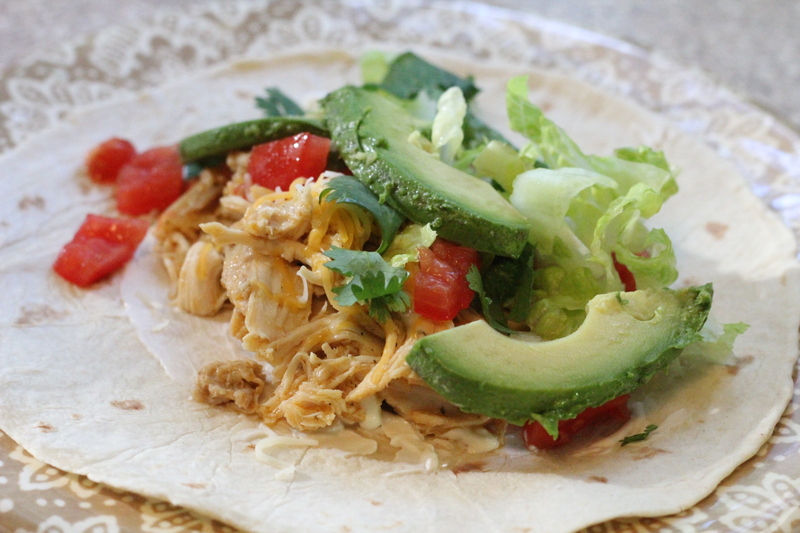 The leftover buffalo chicken works great to make buffalo chicken tacos. I just warmed up the chicken in a skillet, add in a few diced onions and some Goya Adobo seasoning (cumin, garlic, salt) and topped some warm tortillas with the chicken and the usual taco toppings: sour cream, tomatoes, lettuce, cheese, fresh cilantro and avocado slices. Did I convince you to jump on the Buffalo Chicken train with me? 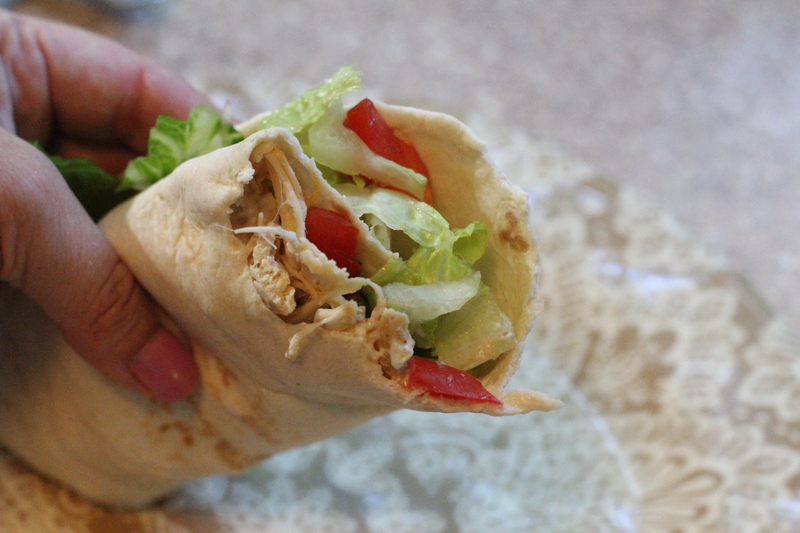 You can see how versatile it is and it’s a great way to speed up meal time since that prep work is all done in the crock pot for a handful of meals. Taco Pizza – no joke it’s so good!